We serve all of Entire state of Oklahoma. If you are unsure whether or not you are in our service area, please contact us prior to death so we can determine if we are able to serve you. Regardless of when and where a death occurs, the family should call us as soon as possible. There is no need to contact a local funeral home. At that time we will ask some specific questions, such as the name and location of the family member who passed away, the name of the attending physician and the name of the next of kin. If you are undecided about the type of service, you need not make any immediate decisions. We will allow you adequate time to make them and provide you with prices of various options ahead of time to assist you. Finally, we will set up a convenient appointment time to make arrangements over the telephone or you can make all the arrangements on-line at the time of death. Who can authorize the cremation? The legal next of kin or designated agent (if signed and acknowledged by such person prior to death) can authorize the cremation. In cases where there are multiple next of kin all such persons must authorize the cremation. For additional information or special circumstances concerning this issue please contact us for assistance prior to death. Can my domestic partner authorize the cremation? Yes! However, you need to designate that person prior to death in writing and the signatures must be notarized. No. Everything can be handled online, or by email and fax. Can I view the body after it has been removed from the place of death? In order to keep our charges as low as possible we only allow viewing of the body in situations where the identity of the deceased is in question. If you desire to view the body, we can arrange a private goodbye at our crematory. We can also make arrangements to have to body embalmed and dressed for a public viewing. Our directors will explain the different options available and the costs associated with each of them. 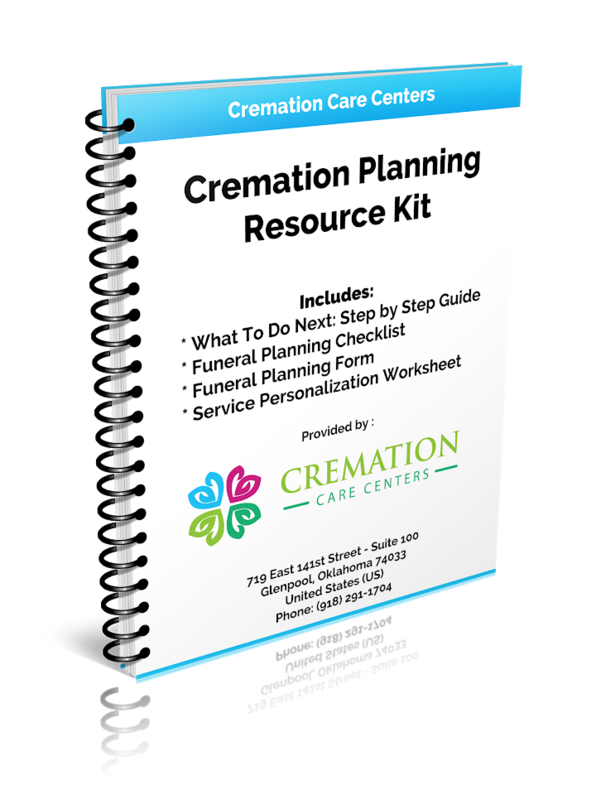 Where do the cremations take place? All cremations are performed at our state of the art cremation facility and your loved is cared for by our licensed staff. Absolutely. However, there is an additional fee of $200 to accommodate this request. How long does it take to complete the cremation and get the ashes back? Our goal is to complete the cremation as quickly as possible; however, the process is dependent upon several different state agencies and the doctor responsible for signing the death certificate, this process can take anywhere from 4 to 6 business days. When can we have a memorial service? One of the benefits of cremation is you may plan a memorial service at your convenience. You are not required to rush through the process, which is so common with traditional burial. How do I place an obituary in the newspaper? All newspapers have person or department who handles obituaries. Contact the newspaper and they will put you in touch with the people you need to speak to. Please keep in mind we will post a free obituary on our site thus eliminating any newspaper charges. Where do I get certified copies of the deceased’s death certificate? We take care of this for you! Just let us know how many additional certified copies your will need. The charge is $18 and then $15 for each additional copy. Is there anything else I will be required to buy? No! We do offer other services; however, there are no hidden fees in our packages. Can I pre-pay for your services? Yes, please contact us at 918-291-1704 for details.